Cooking requires heart. It demands that you give a damn about someone else, the person or person(s) you are cooking for, whether they’re your own hungry kids or someone you’ve just met and are trying to impress in the hope that they might want to spend a little more time with you. And I completely agree with that part, though I don’t really agree with the rest of the article (read it and I hope you don’t get pissed off if you can’t cook). I love cooking for the people I love, for my family and friends, and just to see the blissful smile on their face when they eat my food makes all my hard work in the kitchen worth it. Cooking is going to be a part of my life and I can’t wait for the day when I can bake cookies for my little kids and tuck them into bed with warm cookies and milk. But first I need to find the love of my life HAHAHAHAH. Anyway! 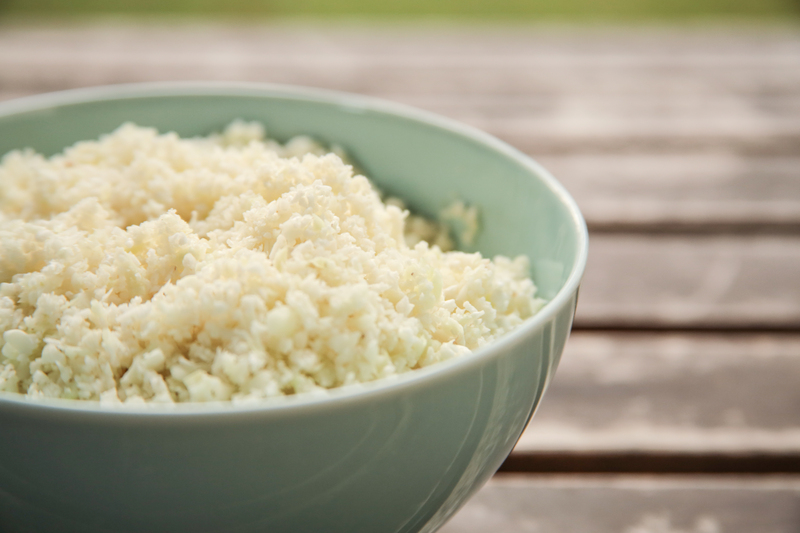 This post is about this amazing blended cauliflower dish that I made while I was still doing my Pseudo-Atkins diet. 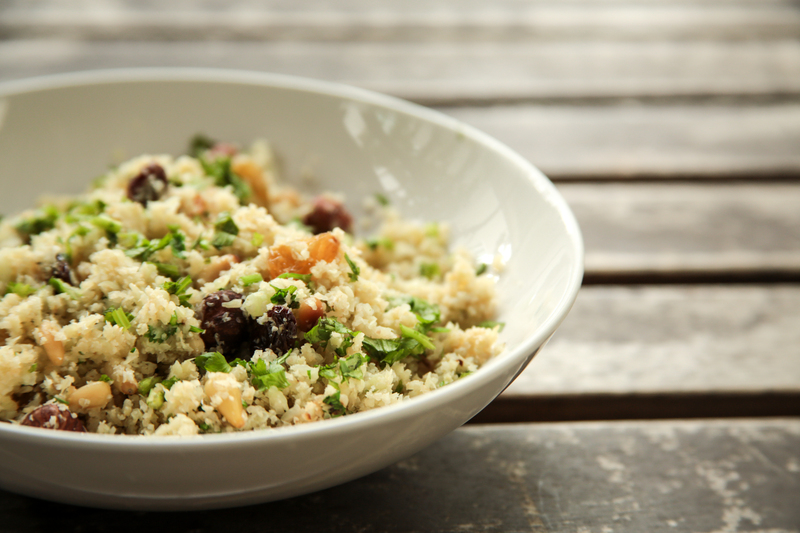 I would recommend this to anyone, dieter or non-dieter because just eating one plate of this cauliflower cous cous can make you so full. And it tastes delicious! My father loved it so much that he asked, “No one wants anymore right? 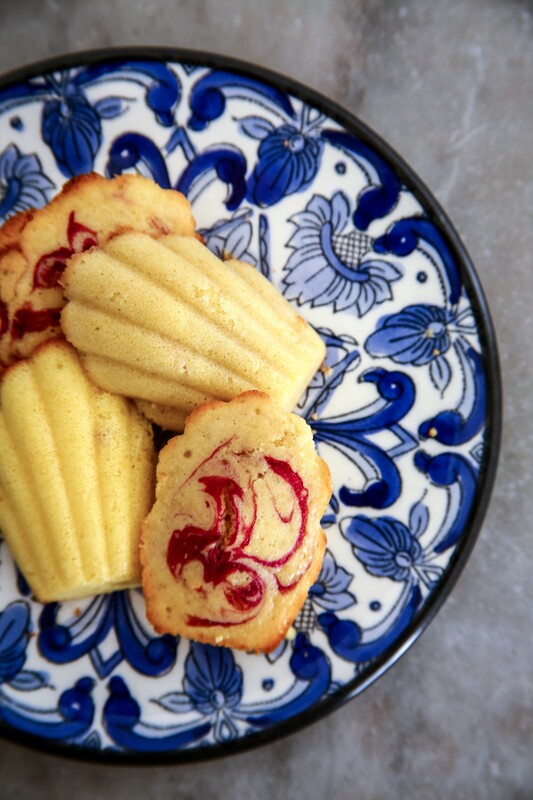 I’m eating it all up.” and before we could say anything, the whole plate got wiped clean. I love the flavours of this dish, it’s very mediterranean-like and at the same time, there’s a local twist to it, with a side of curry yogurt to add some kick to this otherwise mundane dish. 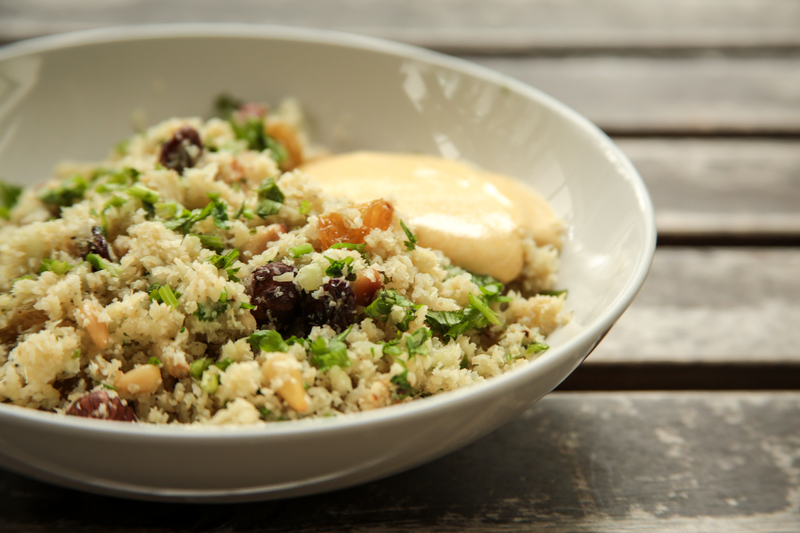 The best part of this dish was how the nuts and raisins blended so well with the blended cauliflower (oooh punny). I actually loved the crunch and nutty texture to this dish even though I absolutely hate nuts. If this dish can make me love nuts, it is a damn good dish. My mother made this for my birthday party and it got wiped out too, with everyone only having compliments for it. All in all, it only takes less than 20 minutes to make. I swear. Cooking everything just takes 5 minutes. This dish deserves to appear on Jamie’s 15 Minute Meals. 1. Wash and dry cauliflower. 2. 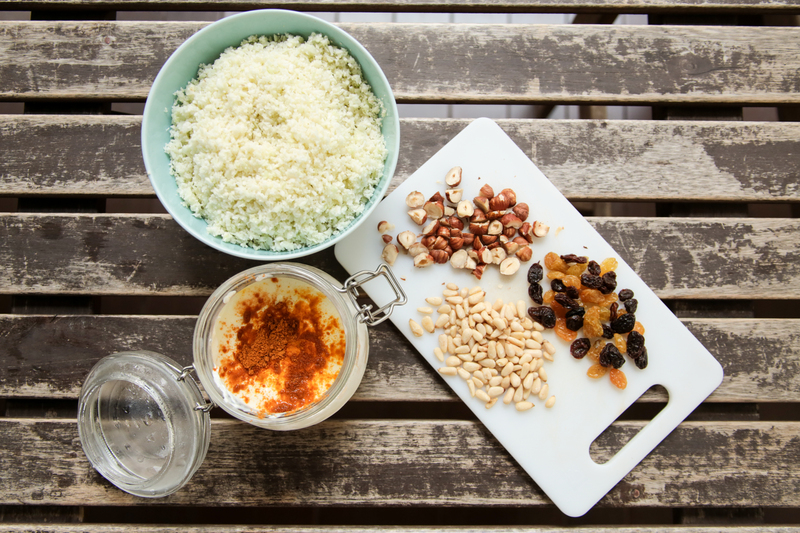 Blend cauliflower florets, a few pulses will do. Do not blend it till it’s mushy. 3. 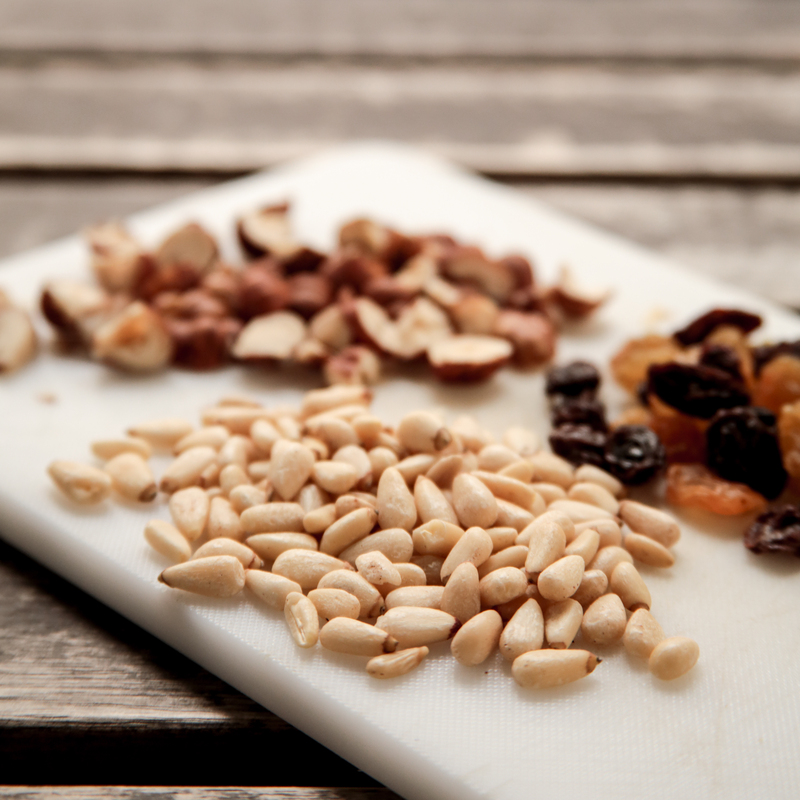 Brown hazelnuts and pine nuts in a pan, takes a few minutes. 4. Adding olive oil into a pan, fry the blended cauliflower until it is tender, brown but not mushy. 5. Add the nuts and raisins in for 30 seconds before switching off the fire. 6. Toss the chopped coriander in. 7. Mix the yogurt with the curry powder and turmeric powder. 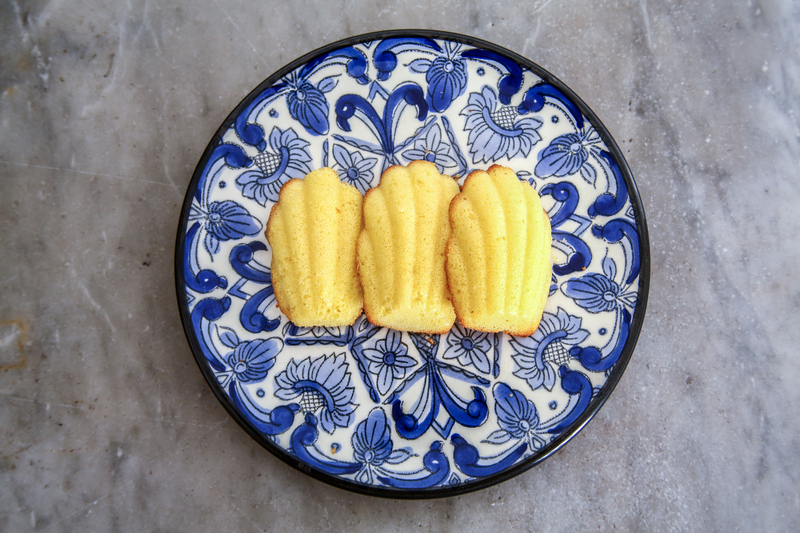 When I feel like whipping up afternoon tea really quick (in 15 minutes), I’d always make madeleines using the recipe adapted from my trusty Marie Claire cookbook, Marie Claire Cuisine. I love this cookbook for its simplicity and variety. It covers the basics for all meals and most of the time, the recipes can be trusted. I found my cookbook in a bookstore in the Australian suburbs of Bendigo for $20 and literally jumped for joy because the only alternative to buying this book is going online and it is probably second-hand. 2. 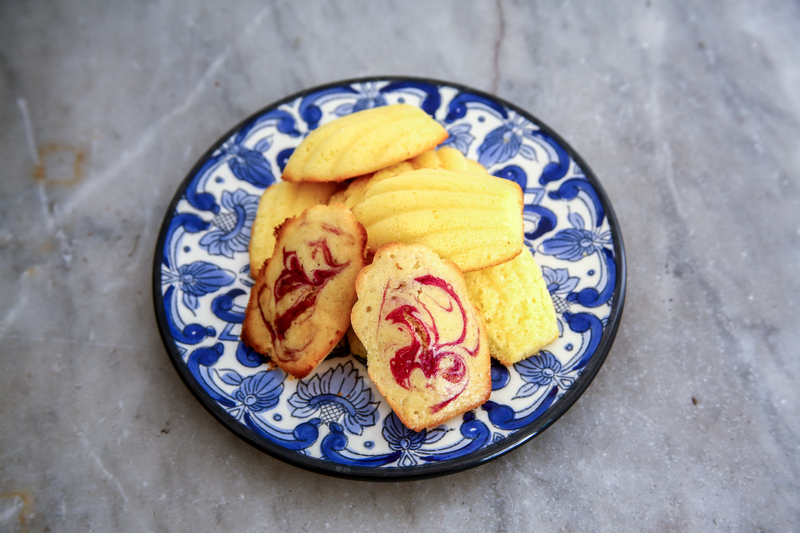 Using electric whisk, whisk eggs, sugar and lemon zest until pale and thick. 4. Gradually fold in lemon juice and melted butter. 5. 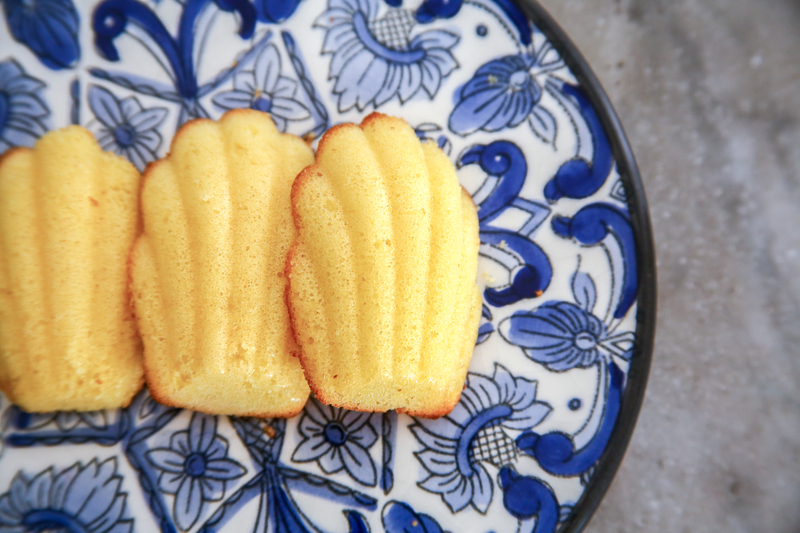 Place in madeleine moulds and bake for 5 minutes.